How Long Does it Take to Get a 6 Pack? 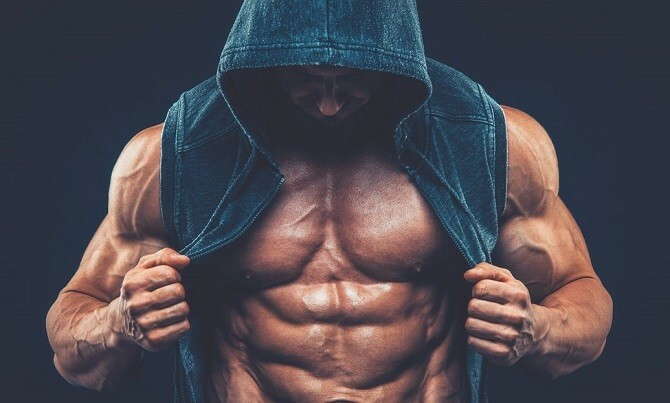 Every day in homes and gyms across the world there are millions of men and women doing an endless number of sit-ups in the hopes that eventually they will create ripped, head turning six pack abs. If only it were that straight forward, we would all have washboard abdominals to show off in the summer. To get an impressive six pack you need two things. One – developed abdominal muscles, and two – body fat under 10%. You can do sit-ups and crunches till the cows come home, if you have a layer of body fat around the midsection no one will ever get to see your six pack abs. So, in order to get a six pack you need an effective abdominal workout routine and fat loss plan in place. When you have these nailed we can work out an estimate of how long it will take until your six pack is ready to be revealed to the world. I say estimate because it’s impossible to give anyone a completely accurate and definitive number on when they will reach their six pack goals. There are a number of variables that will determine how long it will take. Everyone burns fat or builds muscle at a different rate. It depends on things like your metabolism, hormone levels, body type, what kind of diet you’re eating or how strict you commit to dieting. Everyone will train at a slightly different intensity, have a different Basal metabolic rate (BMR) and vary in consistency with their training. Even your lifestyle can play a role in how fast or slow you can achieve your physique goals. Everyone is different, this is why nobody can give you an exact time frame on how quickly you can get a 6 pack. However, we can provide a rough idea on how long it will take by crunching some numbers and using some averages. We need to following information to get an idea of how long it will take until you get your six pack. The first thing you will need to do is find out your body fat percentage. To get this, you can use skinfold calipers or for quickness you can use an online body fat calculator – HERE. 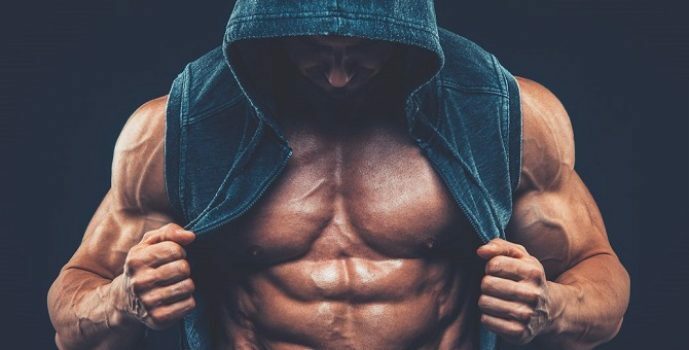 Now, when it comes down to losing fat through diet and exercise to finally reveal your abs, you want to be hitting a target fat loss of around 1 pound each week. Some weeks you may slip off the diet or miss some training which will hinder results. 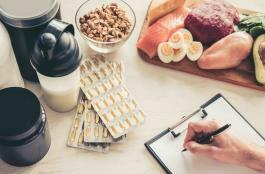 On the other hand, you may have weeks where you’ve been super strict with your diet, eating under your target calories and getting extra activity and exercise in. So some weeks you may find that you drop 2lb or more. It’s really down to you how committed you are to getting visible abs. But generally, a realistic and general fat loss target will be 1lb every week. Your abdominal muscles should start showing when your body fat drops to around 7% for men and 11% for women. How prominent your abs are and how quickly they appear will also depend on how well developed they are. 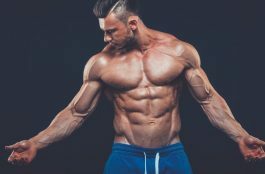 If you have bulging muscular abs then they will start to become more visible at a higher body fat percentage compared to someone who has small, under developed abs. Ok, now we’re getting to the good stuff! You now have the three numbers needed to work out a timeframe on when you’ll get your elusive six pack abs. Now, to show how this works I will use an example of a man who has a body fat of 17% and a steady weekly fat loss target of 1lb. This may look a little confusing at first but it’s really quite simple and the whole thing can be complete in just minutes. So in this example, it will take our man roughly 10 weeks to reach his goal of getting abs. Of course, this is an estimate. 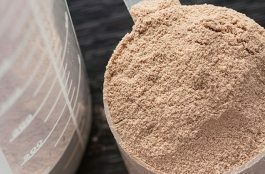 As I explained earlier in this post, there are lots of things unique to each person that affects ones fat loss speed. To lose 1lb of fat per week it will take a good diet plan and training program, followed with great commitment and consistency. So there you have the formula. Be sure to follow a healthy and reputable weight loss diet, don’t do anything silly like starving yourself, it won’t work. How Long Does it Take to Build Muscle?